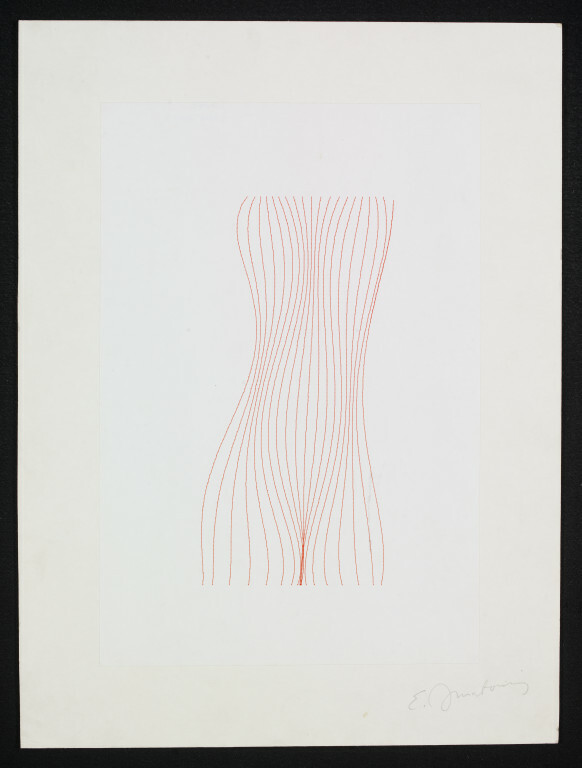 This drawing, by artist Edward Ihnatowicz, was produced using a plotter, a mechanical device that holds a pen or brush and is linked to a computer that controls its movements. Ihnatowicz is perhaps best known as a pioneering cybernetic sculptor who devoted much of his career to developing computer controlled, interactive robotic works of art. In 1969, Ihnatowicz received a commission from Philips, one of the world's largest electronics companies, and created 'The Senster', a 15 feet long by 8 feet high, hydraulic robot. Using sound and movement sensors, 'The Senster' was able to react to the behaviour of those around it, and was one of the first interactive robotic works of its kind. Like many artists working with computer technologies at this time, Ihnatowicz combined his interest in art and science by working as a research assistant in the department of Mechanical Engineering at University College, London, from 1971 until 1986. 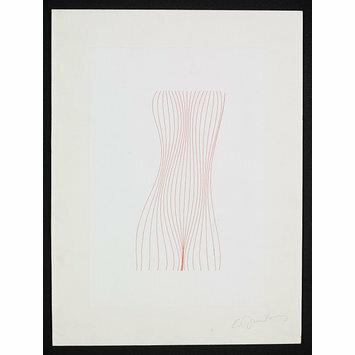 Plotter drawing in red ink on paper, depicting a truncated female figure formed of a series of curved lines. Mounted on board. Artist's signature in pencil, in lower right side. 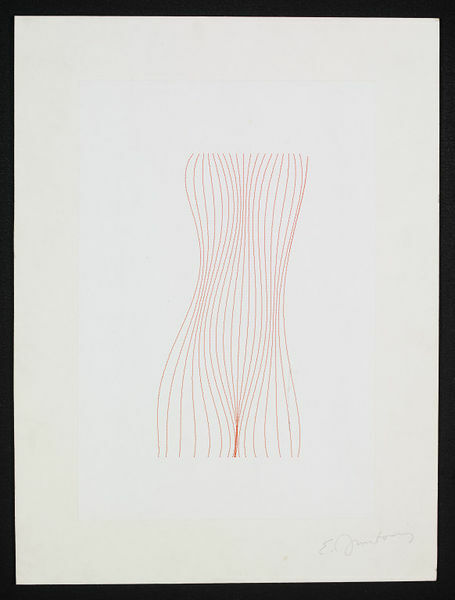 Plotter drawing on paper, mounted on board, by Edward Ihnatowicz, ca.1980s. Mason, Catherine. A Computer in the Art Room: The Origins of British Computer Arts 1950-80. Norfolk: JJG Publishing, 2008. p.96.